I’m in the cabin, feeling outside of time, drifting and dreaming, yet quite purposeful. 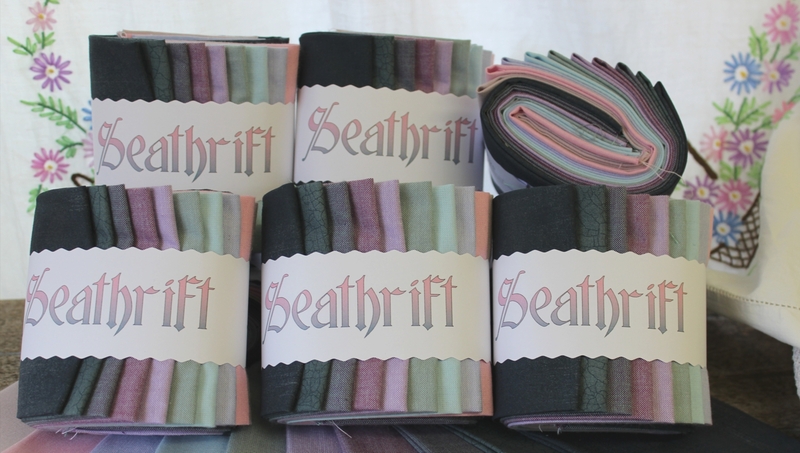 A quiet day is mine, to myself, and casting all pressure out the window to free up my mind and fill it with colour and texture, fabric heaven. 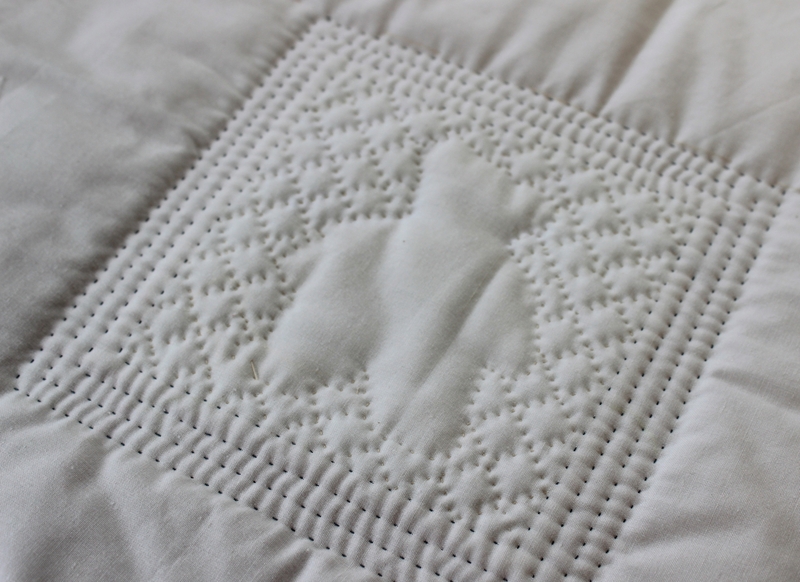 Feeling quite pleased with the hand quilting, which was last night’s relaxation mechanism instead of a glass of wine, I thought I’d photograph the back of it for posterity, because once it’s inside the bag – which is lined, tragically, no-one will be able to see it! 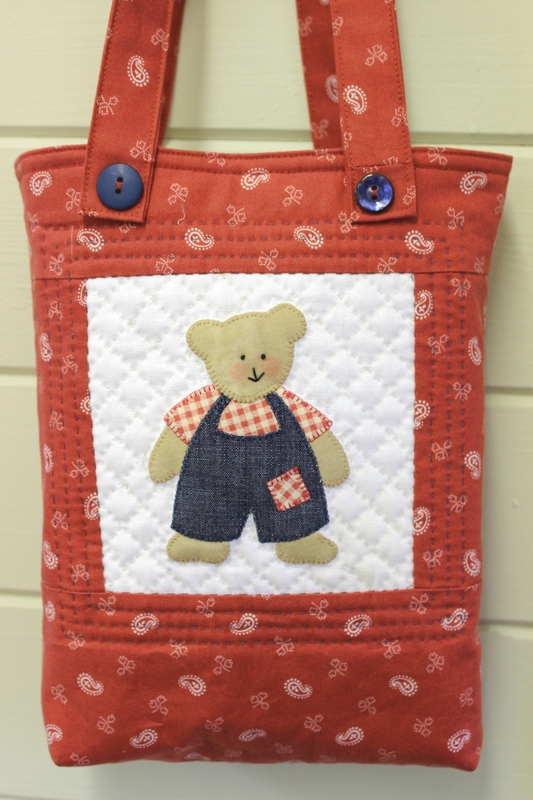 And here’s the bag completed, with top-stitched handles, mis-matched buttons – because I like that look. 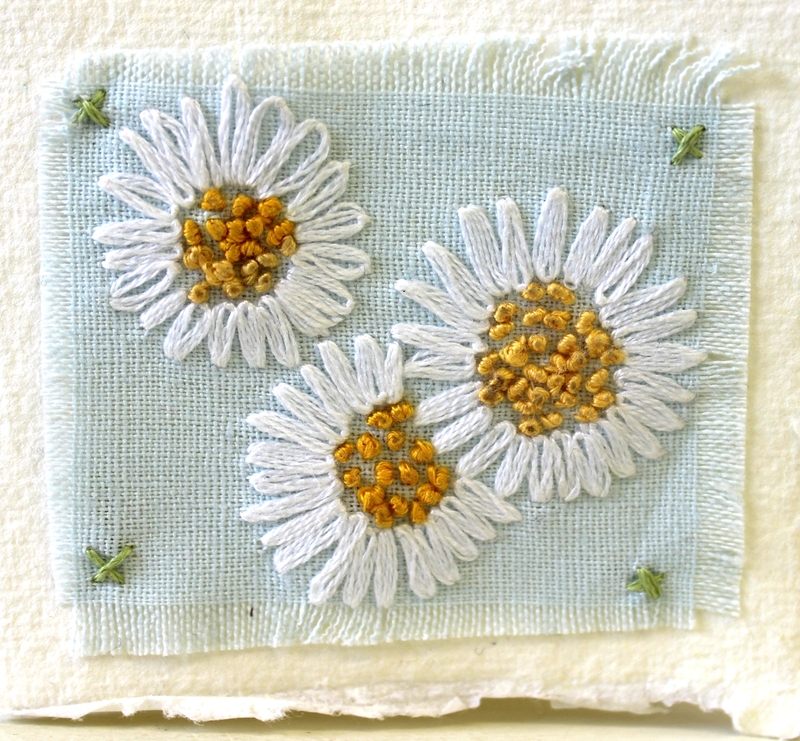 It’s lined with a pretty cream fabric with a tiny red star. I like to stitch my handles to the outside actually using the buttons to secure them in place, and I’ve learned the knack of doing this on the sewing machine. I don’t break many needles, honest. 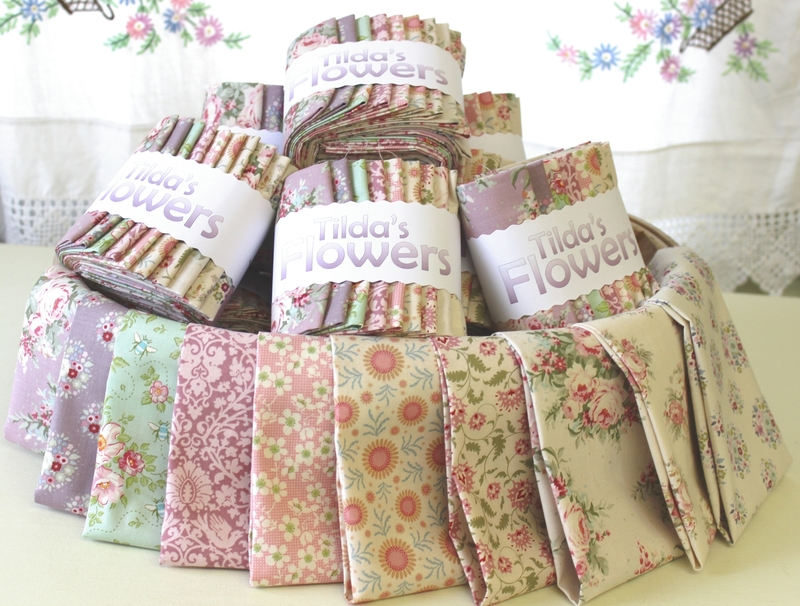 Gorgeous new Tilda fabrics are in stock, I’ve packed them into two collections and called them both Tilda’s Flowers. Sorry if it seems pricey, it’s just one of those things! This is the lilac based set. 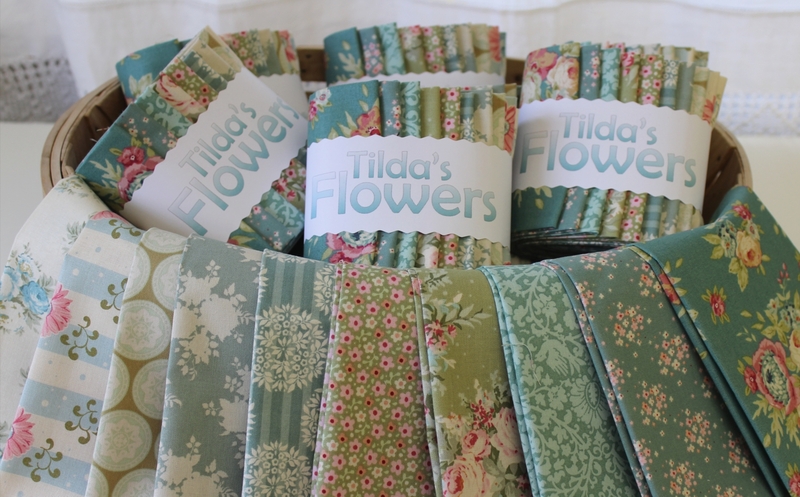 This is the other Tilda set, based loosely on gentle shades of jade and turquoise, sprinkles of really sweet pretty flowers. 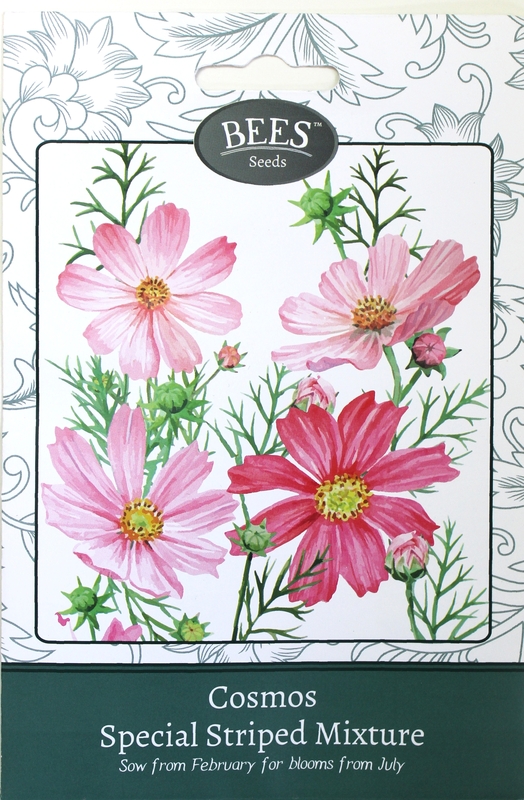 Cosmos is one of my all-time Summer favourites, in all its wonderful permutations and colours. 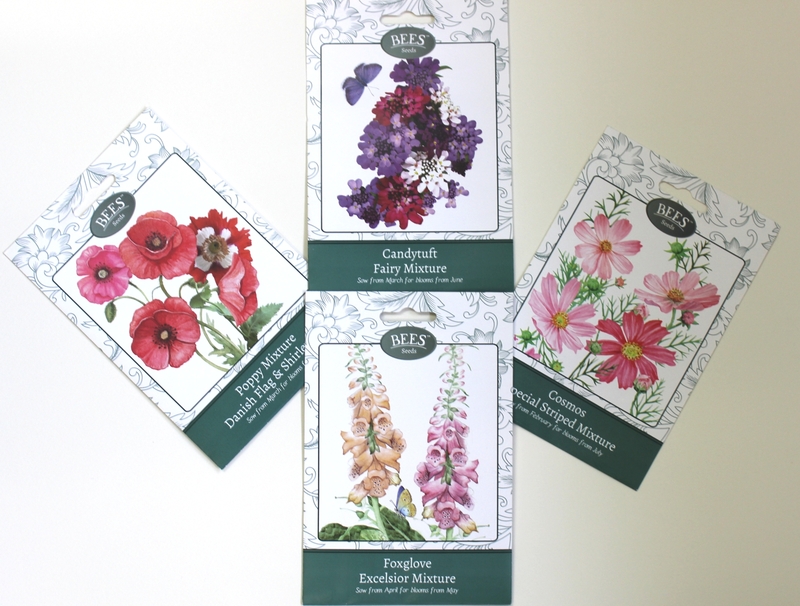 Thought the packaging was beautiful, and the price at just £1.49 per packet really good value. Doris is still sighing and stirring everything up outside, Drew’s had to come back from the station as no trains are running to London today, and now he wants to muscle in on my computer! 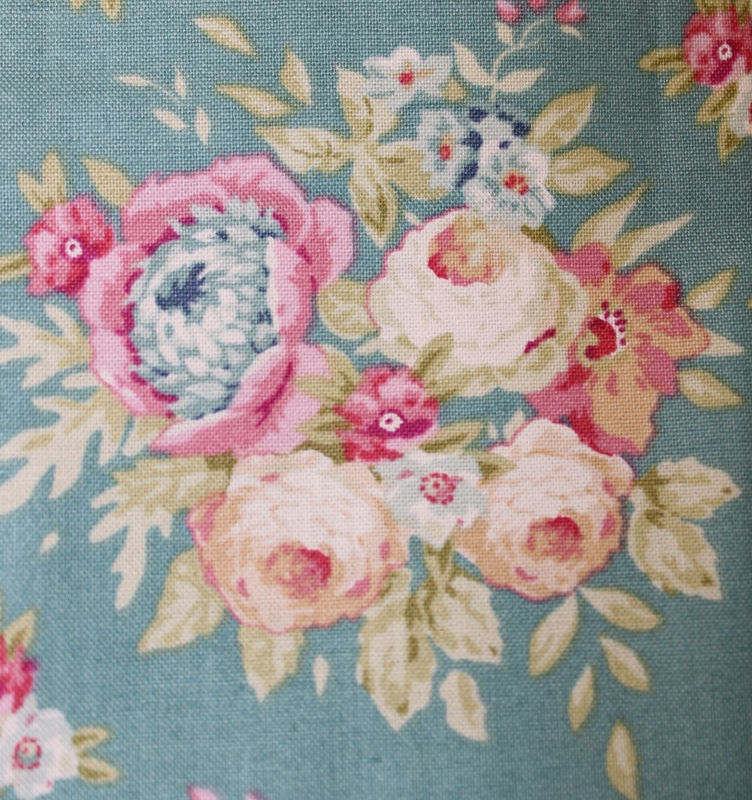 So my next job will be to tack out and start hand quilting the cushion which is the second item of the new pattern. Next blog will be about seeds and Greenhouse Work, the whole self sufficiency malarkey for the coming Summer! Yes Ol’Doris is still at it even now howling around the corners here at home. T’was a really blustery walk up on the Ampthill hills this morning but we managed to stand up to Doris well . She was not going to get us down. leaves fluttered high into the sky, stopped us talking at times or we would have caught one!. Branches creeped and cracked to the ground missing us successfully. Not nice to be out driving with so many branches down and a tree at Shortstown giving the police heavy work trying to remove it from the road. Not surprised Drew is at home. I would have worried if he had been on the rails. 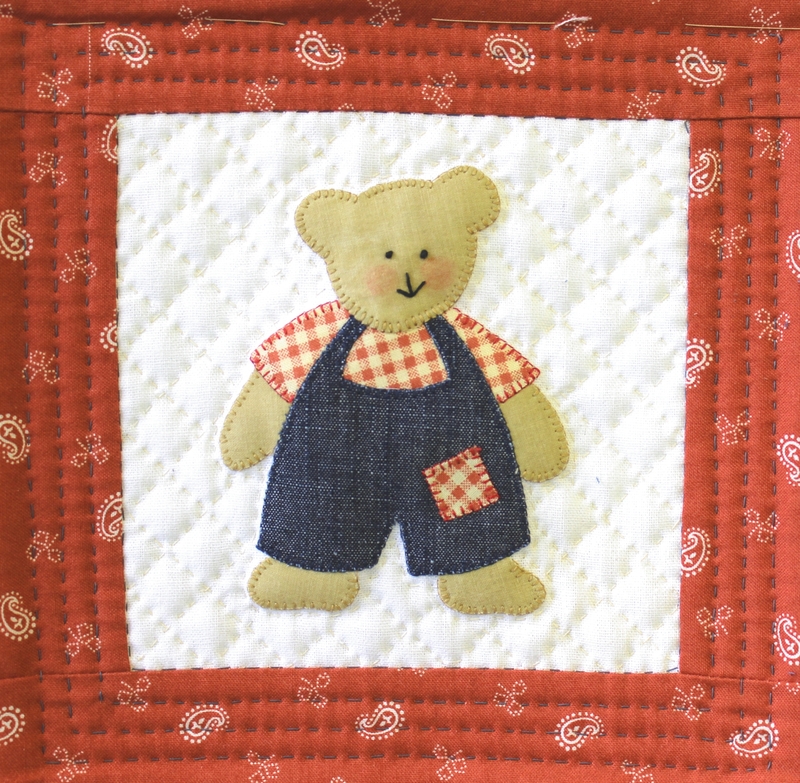 Happy sewing . It looks gorgeous. Oh I should have said I was walking with my poles and the rest of the Nordic walking group!. Rick did not risk his walk to the post office this morning. Think Doris would have knocked him off his feet! That’s a relief, thought the fellow was getting a bit fearless!